We are excited to add this extra large ornament display tree to our product line in plenty of time for the holidays! 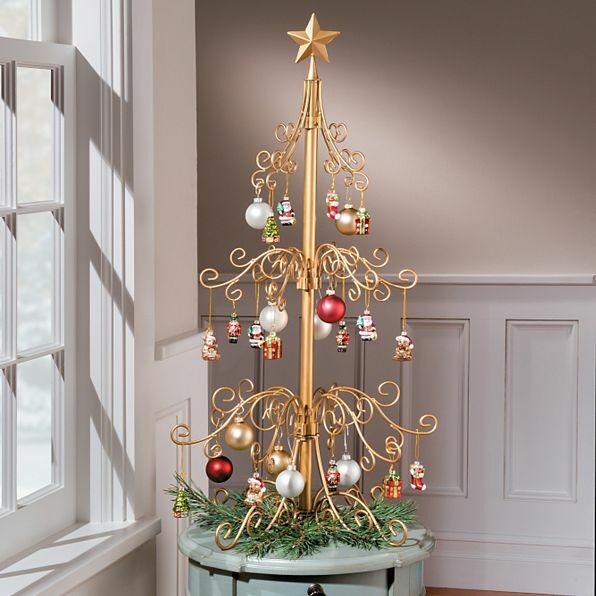 Standing 62" high and with a 19" diameter, our elegant scroll tree features 60 hanging spots so you can get your ornament collection on display! This is made of sturdy metal with a deep brown finish and can hold extra large and even heavy ornaments so get out the Waterford, Swarovski and Lenox ornaments!Some minor assembly required - instructions included in packaging.